His eye for the essence of a song is unsurpassed. Who once plunged into the world of Ulli Bögershausen doesn't want to leave it so quickly again. There's hardly been a day in the last 50 years that I didn't pick up my guitar to play it. And it's 32 years now that guitar playing is my profession. Today I consider it a privilege to get up in the morning and decide every day new if I rather want to work on an arrangement or a new composition or maybe better go downstairs in my studio for recording something. The way I may live my life today is mainly owed to the fact that I always followed my inner voice. I was never willing to deny my creativity in order to do something 'better' or perhaps more lucrative. My advice to all young musicians is therefore: Find out what hidden talents lie dormant in yourself and which one you would love to bring alive. It may well be you suffer shipwreck, need to change job or discover an even new talent of yours - however, try it! Ulli Bögershausen has long been a brand. A brand which represents sophisticated, solid finger style* with world acclaim. Through his many concerts and workshops he has enthused and inspired generations, making them guitar crazy. For more than 30 years he has been at home on stages in Germany and internationally. His talent for tasteful arrangements, wonderful tone and the ability to breathe life into songs make him the man on the scene. His premise has always been to really convey an essence of the feeling of each song and so to touch the audience. Ulli Bögershausen is a perfectionist, something which becomes clear when listening closely to his articulate, sensitive finger work. Nothing is coincidental, despite possible indications to the contrary. Every note has a subtly lighter or more forceful impact precisely because he has decided it so; because it makes sense for this song. The melody floats freely on the accompaniment almost as if he is plucking with 2 right hands and chording with 2 lefts. Ulli Bögershausen’s career embraces many albums. His repertoire extends from numerous originals, canticles, classical pieces through to pop song arrangements. This is where his strength and unmatched experience lie, namely in the re-arrangement of songs into finger style. Many professional musicians take guidance from him in this area. In his Mosella Music School, Ulli Bögershausen holds a limited number of very popular guitar courses and workshops at which ambitious guitarists can find tuition and inspiration to develop their own performance from a new creative perspective. 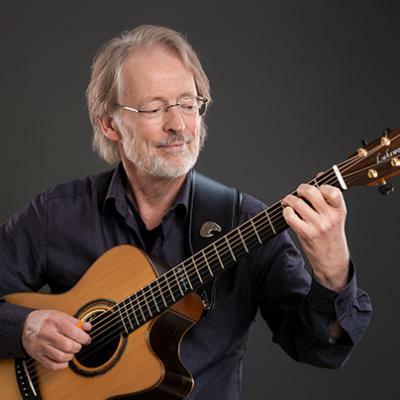 Perhaps his best known contemporary, Sungha Jung, has done much work with Ulli Bögershausen. With one exception, all his albums were recorded by Ulli in the latter’s studio. One might say that Ulli is a mentor for Sungha. While there is no doubt that the young Korean is a brilliant guitarist, there is surely still much that he can learn from Ulli Bögershausen. And so Ulli Bögershausen has become something of an interface between two generations who are joined through a shared love of guitar. Many young musicians in Germany enthusiastically play Ulli's pieces. He is both an ideal and an example simultaneously. His tabs are in high demand and his videos closely studied. There can be no doubt that he has made his mark and influenced the finger style scene profoundly. Should you wish to research the Ulli Bögershausen signature model, please click here. * The expression ‘finger style’ applies to all picked variations of instrumental performance on steel string guitars. ‘Fingerpicking’ refers to patterns which use alternating bass notes to emulate typical ragtime piano. With ‘finger style’ the right hand is crucial, playing both melody and bass lines. In this regard ‘finger style’ is technically similar to the classical guitar technique, but then everything is allowed on a steel string, innovation is part of the action. The ‘finger style’ repertoire has only been created relatively recently. Often ‘open tunings’ are used, in which the guitar will be tuned in an alternative fashion. Also, aids such as fingerpicks and capos may be employed. More recently, diverse percussion techniques have been added to emulate drum grooves. All the known finger style guitarists have contributed creatively to the development of this style through their compositions and technique.